Breast implants are made by a number of manufacturers and are available in a variety of designs with different shapes, sizes and surfaces. An increasingly popular choice is the polyurethane-coated silicone implant. 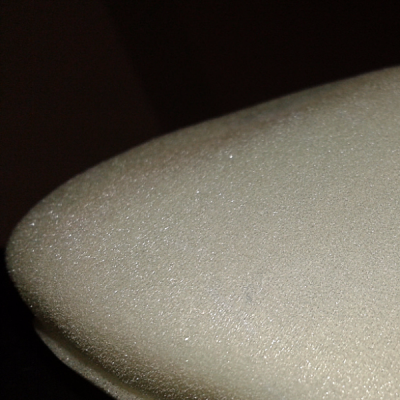 At Breast Care Leicester , we use polyurethane-coated implants from PolytechTM , manufactured in Germany. 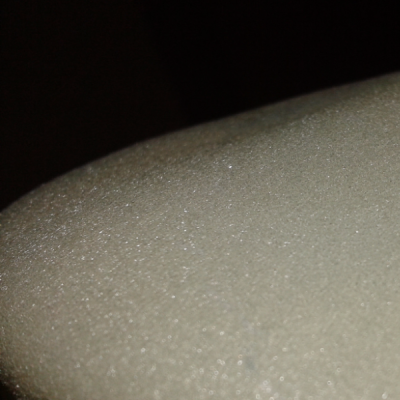 The polyurethane coating has a spongy appearance, and helps to reduce capsular contracture rates. They also remain in position better than conventional silicone-surfaced implants and are less likely to rotate or become displaced. Polyurethane-coated implants often feel firmer than other implants in the first few months until the surface is incorporated by the breast tissue. Implants with two different gel consistencies (Diagon\GelTM from Polytech) are available with a polyurethane coated shell. In the early 1990s, there were concerns that one of the breakdown products of polyurethane, 2,4-TDA, could potentially cause cancer in humans. This followed a study in which rodents of strains bred to develop cancers of various sorts including breast cancer were fed high doses of 2,4-TDA to eat and subsequently developed even higher levels of liver and breast cancer. Subsequent human studies showed that in some women with polyurethane breast implants, 2,4-TDA can be detected in their urine but at very low levels. 2,4-TDA has not been shown to be carcinogenic in humans but using the level of carcinogenicity demonstrated in the rodents, a risk assessment was carried out which estimated a theoretical lifetime risk of developing breast cancer of approximately one in one million. If this level of risk is a concern for a woman considering breast augmentation, then silicone implants without polyurethane coating would be a suitable alternative. Bioassay of 2,4-diaminotoluene for possible carcinogenicity. National Toxicology Program. Natl Cancer Inst Carcinog Tech Rep Ser. 1979;162:1-139. Measurement of 2,4-toluenediamine in urine and serum samples from women with Même or Replicon breast implants. Hester TR Jr1, Ford NF, Gale PJ, Hammett JL, Raymond R, Turnbull D, Frankos VH, Cohen MB. Plast Reconstr Surg. 1997 Oct;100(5):1291-8.